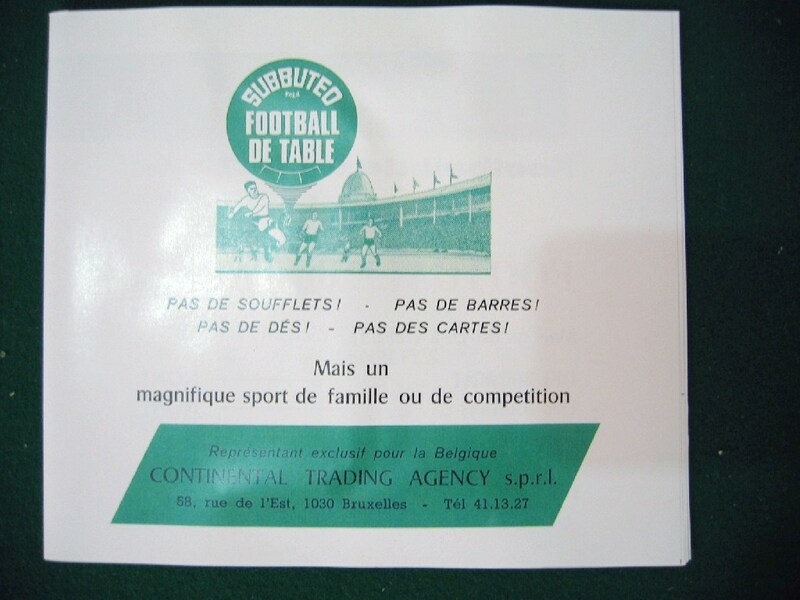 Here are some photos of a Football de Table Belgian edition, another boxset in my collection. As you may have realised by now (from my other posts with sets from my collection), I rely on the excellent descriptions provided by Peter Upton on his site, to give background information in relation to these sets. This is what he says about this set. 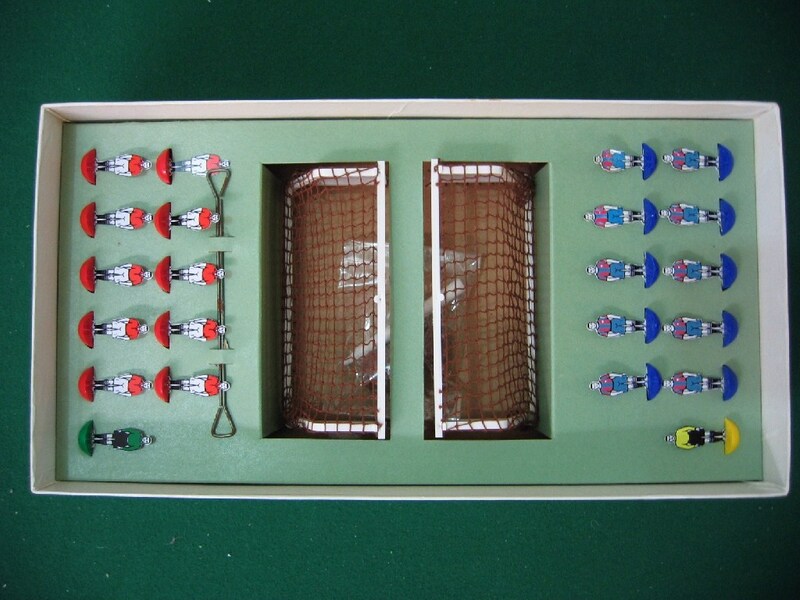 Although the lid design of this Belgian set looks like it came straight from the 1950s, the paperwork supplied with it came from the early 1970s, and featured pictures from the original Subbuteo World Cup of 1970. 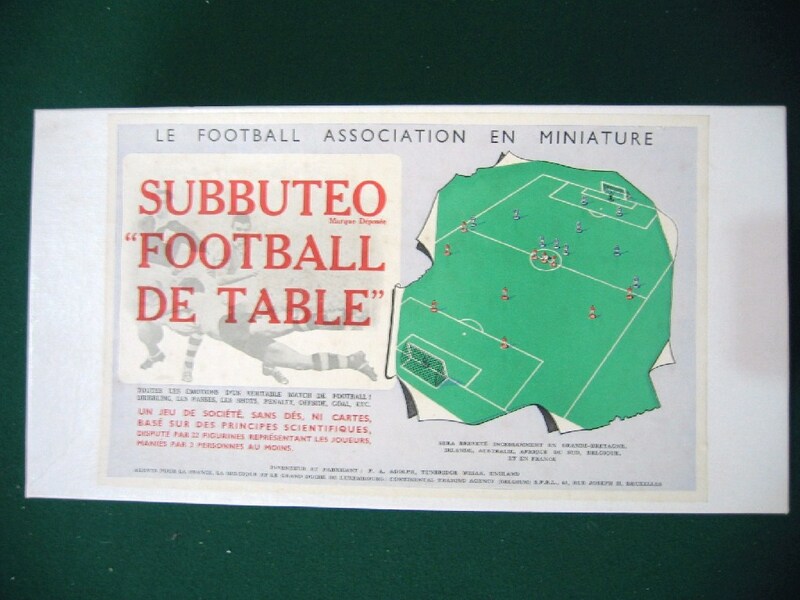 At the time, the European Table-Soccer Federation (ETF) were still playing the flat-figure game, and I suppose it made sense to provide these sets to ETF players. 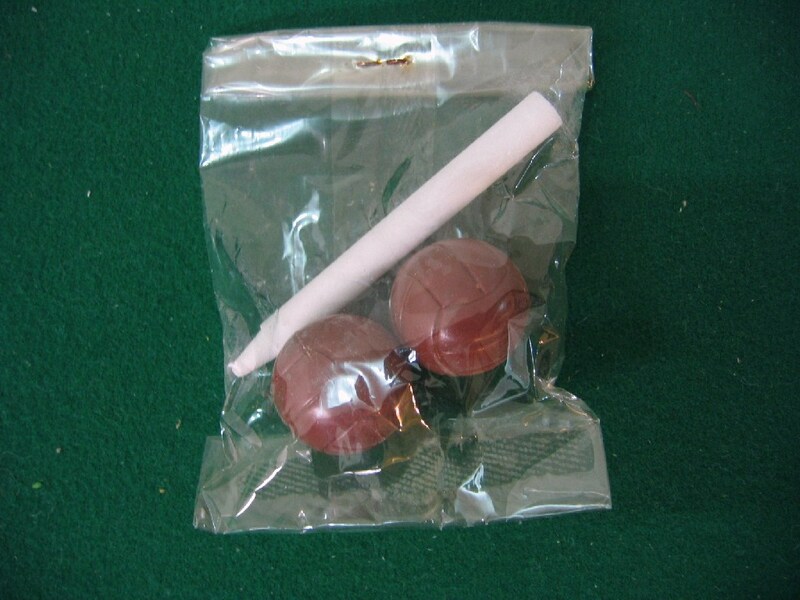 However, the warehouse stock of these sets that turned up in the 2000s, suggests that it wasn't as big a seller as was hoped. 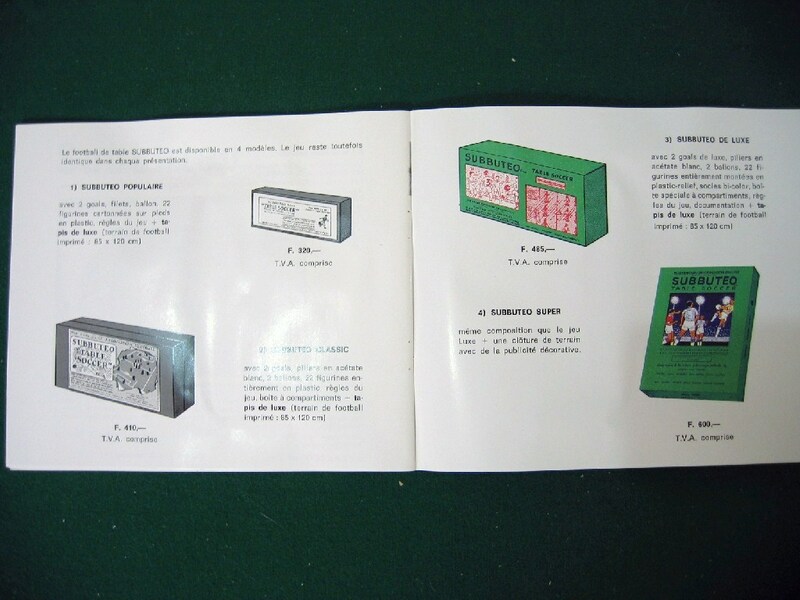 The set was the size and equivalent of the UK Combination edition, and had a piece of chalk supplied rather than a pitch. 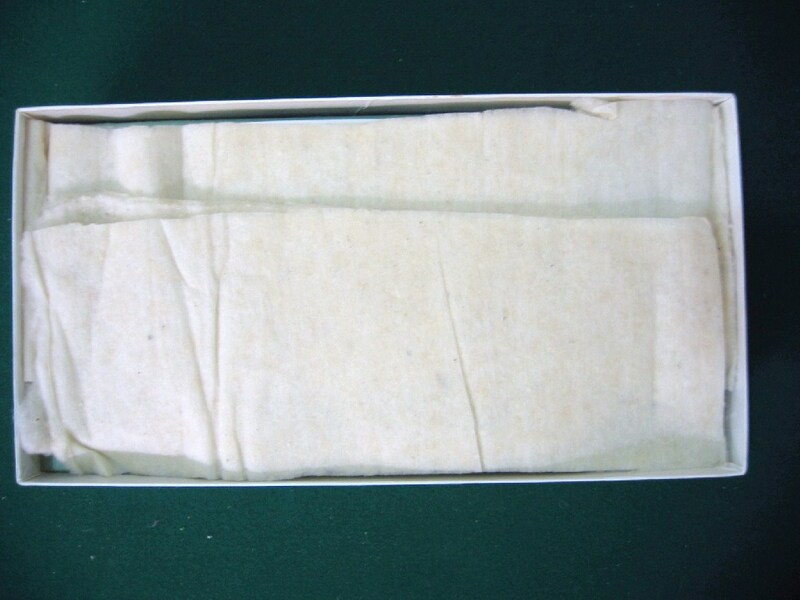 However, the Combination does not have the lovely cardboard inner display. 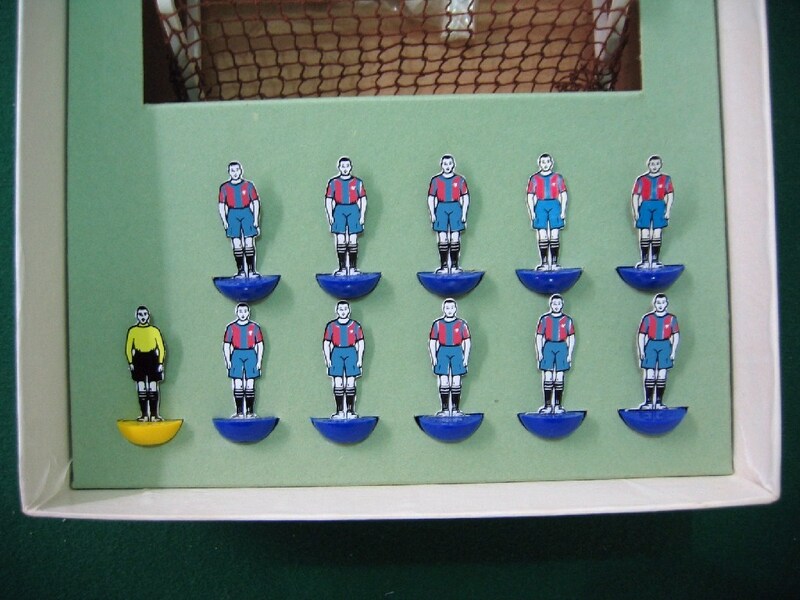 These editions have been seen with the standard red and blue teams, or an alternative version ..., with the blue team replaced by Barcelona. That suggests a European Cup Final to me (Benfica vs. Barcelona), but that took place back in 1961. So either the sets were old when the 1970s paperwork was added (hence the box style), or this is just wishful thinking on my part (which is more likely to be honest!). 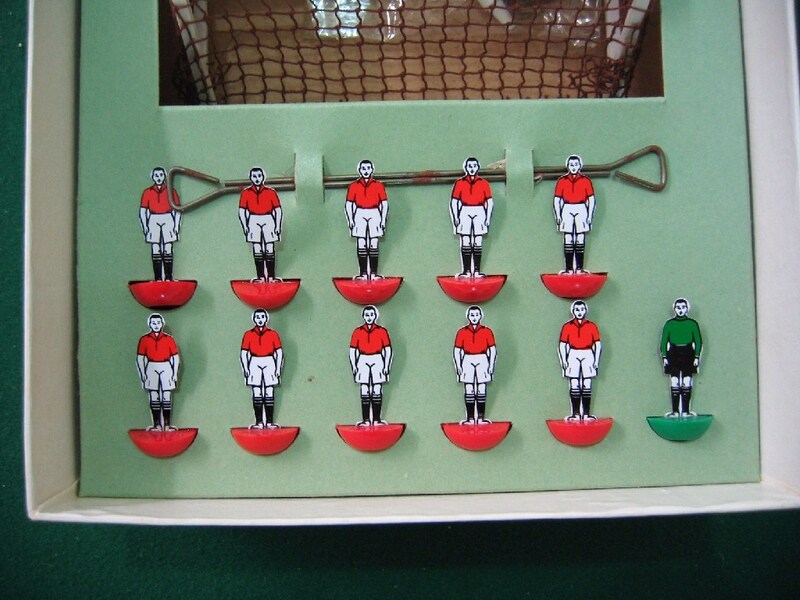 A very interesting set and this one is in near mint condition. Last edited by takis2003 on 16 Apr 2011, 15:56, edited 1 time in total. All the comments are very much appreciated, guys. The photos of this set can now be found in the "Reference Photos" section. 1961 Euro Final - Benfica v Barca ? ... erm no Mr Upton no . Manchester United ? ... no. 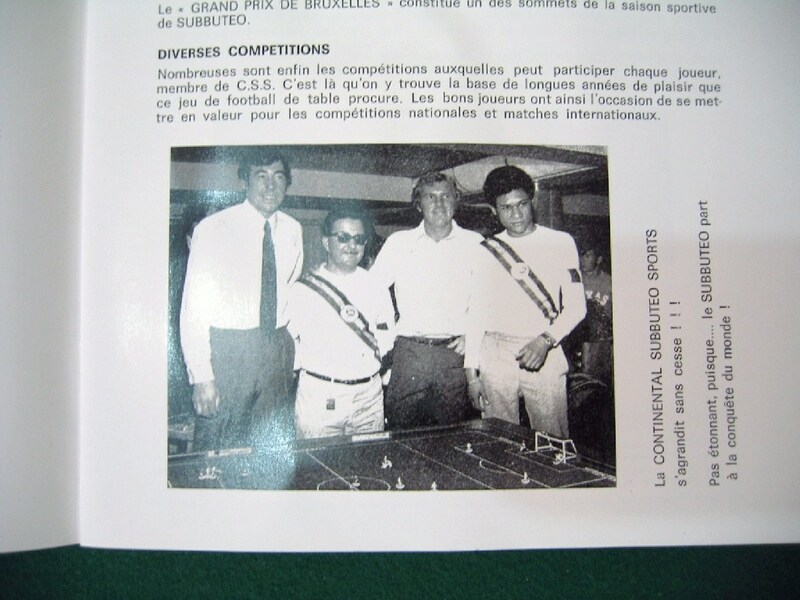 Standard Liege ... Belgian Champions in 1970 and 1971 ? ... very probably. Very nice. I have this set too.